The GT3 is about comfort. And value. But most importantly, the GT3 is about giving you the safest tyres we know how to build. 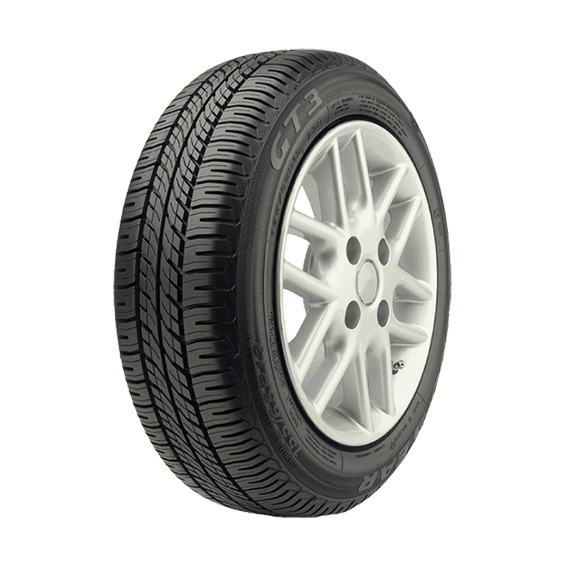 Its innovative Bubble Blade™ tread block design works equally well in wet or dry conditions, while tie-bars enhance the car's handling in just about any situation. This radial tyre is for the driver whose priorities match our priorities- safety, comfort and peace of mind.